The CR36DA reciprocating saw is designed with the twin counterweight system which ensures a significant vibration reduction, and provides the maximum cutting efficiency using orbital action. Note: Always firmly grip the handle and front grip while operating. 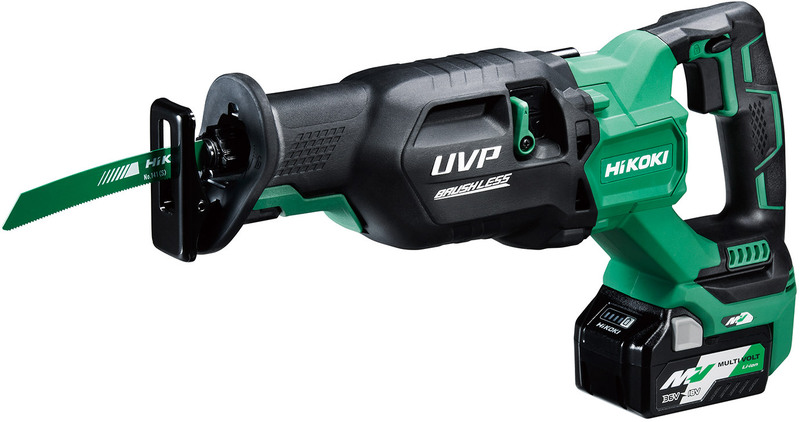 Vs. the CR18DBL cordless reciprocating saw. The value is shown for reference purposes and may vary according to the workpiece material and other operating conditions. This value is shown for reference purposes and may vary according to the workpiece material and other operating conditions. Values are shown for reference purposes and may vary according to the workpiece material and other operating conditions. The upper and lower counterweight gears spin in the opposite directions to balance out inertia force, resulting in significant vibration reduction. 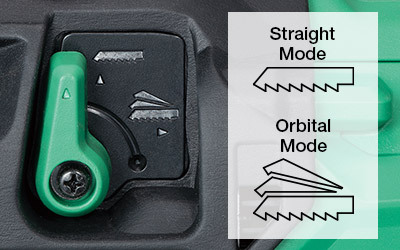 The change lever switches between the straight mode and the orbital mode, maximizing the wood-cutting efficiency. The CR36DA is our first reciprocating saw with a cylindrical housing, providing a great improvement on durability. The actual SPM values may vary according to the working conditions. 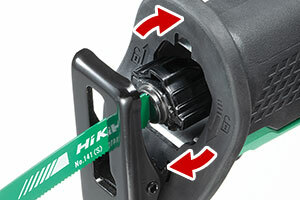 Blade installation and removal can be done by a simple push of a lever. 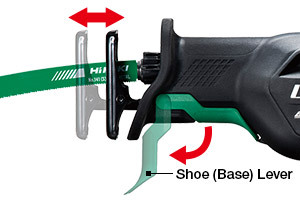 The shoe (base) lever allows the shoe to be adjusted.